Enter your information below to receive INSTANT NO EXAM LIFE INSURANCE QUOTES. No Exam Life Insurance can be used for burial purposes, to help with some of the no exams that are commonly created prior to death, or for whatever reason the insured and beneficiaries see fit. Use our instant no exam life insurance quotes tool to see rates from as many as 80 companies (depending on the state that you live in). We work with these companies to help consumers to find the best no exam life insurance policy. This Instant No Exam Life Insurance Quotes insurance is a Simplified Issue Life Insurance policy. There are some basic health questions and no health exam is required. No exam Life Insurance is issued as a Whole Life Insurance policy or some other form of permanent insurance. With Whole Life insurance, the premiums are greater than they are with term life insurance but the policy is in place for the life of the insured. Term life insurance will expire at the end of the initial term period, potentially leaving the insured with no coverage. As premium is paid into the Whole Life Insurance policy, cash value can accumulate. Whether there is cash value in the policy will depend on the specific design of the life insurance policy, as well as the health rating of the insured. Policies vary from company to company. Policies vary from person to person. Contact us if you would like to receive sample illustrations of No Exam Life Insurance from multiple companies. The cash value (if available) can even be accessed (as a loan or as a withdrawal) while the insured is still living (living benefits of life insurance). It is important to read the policy details and provisions to know how and when money can be accessed from the policy. Loans are subject to interest expenses. Withdrawals, loans, and the ultimate termination of the whole life insurance policy can have tax consequences so it is important to contact your tax advisor before making any changes to your policy. Obtaining No Exam Life Insurance starts with receiving a quote. 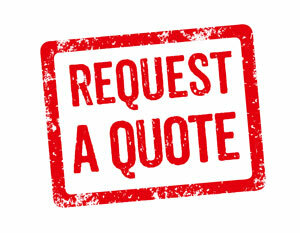 We can help you to review all possible quotes so that you can decide on the right plan for your specific situation. Under no circumstance should you cancel an existing life insurance policy while going through underwriting for another policy, whether it be term life, whole life, no exam life insurance, universal life insurance, or any other type of life insurance.